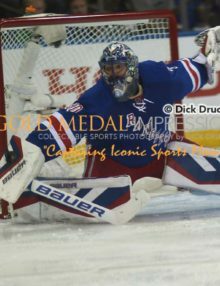 New York Rangers goalie, HENRIK LUNDQVIST, makes one of his 27 saves in the second period against the Montreal Canadiens at Madison Square Garden. The Rangers defeated the Montreal Canadiens 3-1 to advance to the Eastern Conference semifinals. Check out the 5 fantastic images from tonight’s Stanley Cup play-off game between the Montreal Canadiens and the New York Rangers. The Rangers won 3-1 and now advance to the Eastern Conference semifinals. The Rangers will face the winner of the Ottawa Senators – Boston Bruins series. 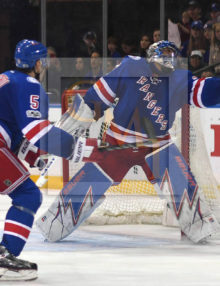 HENRIK LUNDQVIST as always played a superb game making 27 saves. 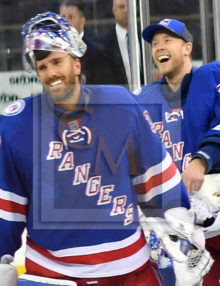 New York Rangers goalies, Henrik Lundqvist and Antti Raanta are all smiles after the New York Rangers defeated the Montreal Canadiens 3-1 to advance to the Eastern Conference semifinals. Lundqvist made 27 saves, playing his usual steady game. New York Rangers Derek Stephan scored an empty-netter with 17.8 seconds remaining in the game giving the New York Rangers a 3-1 victory over the Montreal Canadiens as the New York Rangers fans celebrate. The Rangers advance to the Eastern Conference semifinals. 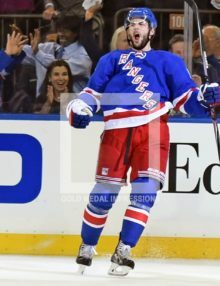 New York Rangers Derek Stephan(21) celebrates with his teammates after scoring an empty-netter against the Montreal Canadiens with 17.8 seconds remaining in the game. The Rangers defeated the Montreal Canadiens 3-1 to advance to the Eastern Conference semifinals. 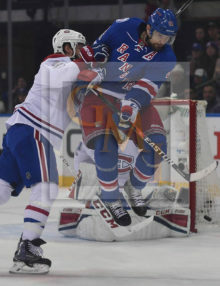 New York Rangers Rick Nash leaps into the air as he eyes the puck in the second period against the Montreal Canadiens. The Rangers went on to defeat the Canadiens 3-1 to advance to the Eastern Conference semifinals. Tampa Bay Lightning goalie, BEN BISHOP, blocks a shot by New York Rangers CHRIS KREIDER, in the second period of game7 of the Eastern Conference Finals at Madison Square Garden. Bishop made 22 saves leading the Lightning to a 2-0 victory, handing the Rangers their first game 7 loss at Madison Square Garden. End of a Dream: New York Rangers goalie, HENRIK LUNDQVIST, watches puck shot by Tampa Bay Lighting ONDREJ PALAT, sail into the net in the third period at Madison Square Garden. Tampa Bay went on to win 2-0, handing the New York Rangers their first game 7 loss at Madison Square Garden. 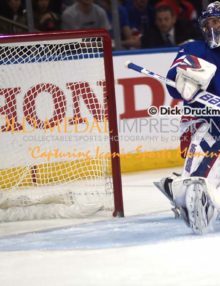 New York Rangers goalie, HENRIK LUNDQVIST, blocks a Tampa Bay Lightning shot in the third quarter of the Eastern Conference Finals game 7 at Madison Square Garden, Despite HENRIKS efforts the Rangers lost 2-0, the Rangers’ first game 7 loss at Madison Square Garden. 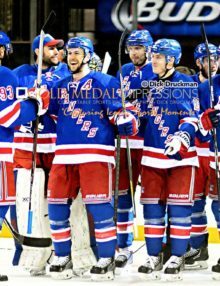 New York Rangers rookie, KEVIN HAYES, celebrates with his teammates after scoring a goal in the second period against the Washington Capitals. The Rangers went on to win 2-1 and now move on to face the Tampa Bay Lightening. 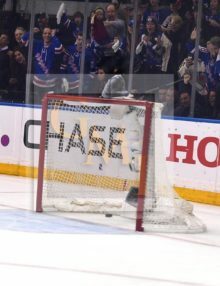 New York Rangers goalie, HENRIK LUNDQVIST, watches Tampa Bay Lightning's Valleri Filppula's go ahead goal sail into the net in the second period of game 5 at Madison Square Garden. Tampa Bay went on to win 2-0, taking a 3-2 lead in the series. 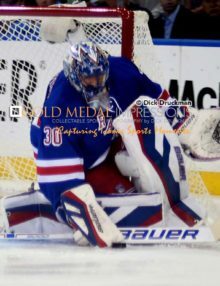 New York Rangers goalie, HENRIK LUNDQVIST, blocks Tampa Bay Lightning shot in the second period of game 5 at Madison Square Garden. 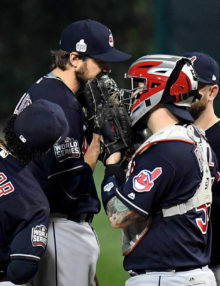 Unfortunately, Lundqvist allowed two goals in the period and Tampa Bay went on to win 2-0, taking a 3-2 lead in the series. 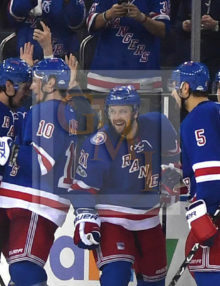 New York Rangers center, DEREK STEPAN, smiles with his teammates after scoring the winning goal in overtime in game 7 against the Washington Capitals at Madison Square Garden. 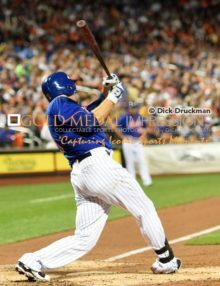 The Rangers won 2-1. 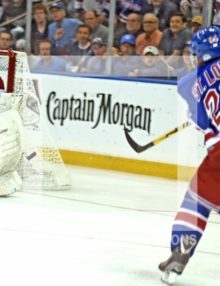 New York Rangers rookie, KEVIN HAYES, goes in for a score against the Washington Capitals in the second period of game 7, tying the score 1–1. 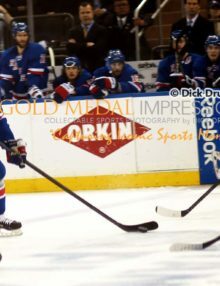 The Rangers went on to win 2-1 in overtime. 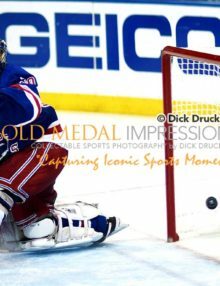 New York Rangers goalie, HENRIK LUNDQVIST, blocks a Washington Capitals shot in the first period of game 7. The Rangers went on to win 2-1 in overtime and now go on to face the Tampa Bay Lightening in the Eastern Conference Finals.